Just when you think you’ve read every conceivable version of Pride and Prejudice possible, along comes a refreshing new take that makes you fall in love with Elizabeth Bennett and Mr. Darcy all over again. 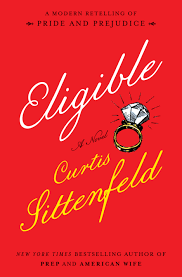 Curtis Sittenfeld’s take is indeed quite modern, complete with careers for the elder Bennett girls, crossfit, a reality show, and diversity in the form of trans and black characters. Sittenfeld roughly follows the original narrative while still bringing Austen’s classic story to the 21st century realistically. Eligible is sharp, witty and charming. I promised to love you forever, in a time when I didn't know if I'd live to see the start of another week. Now it looks like forever is finally running out. I never stopped loving you. I tried, for the sake of my own sanity, but I never even got close, and I never stopped hoping either. Late on a frozen February evening, a young woman is running through the streets of London. Having fled from her abusive boyfriend and with nowhere to go, Jess stumbles onto a forgotten lane where a small, clearly unlived in old house offers her best chance of shelter for the night. The next morning, a mysterious letter arrives and when she can't help but open it, she finds herself drawn inexorably into the story of two lovers from another time. In London 1942, Stella meets Dan, a US airman, quite by accident, but there is no denying the impossible, unstoppable attraction that draws them together. Dan is a B-17 pilot flying his bomber into Europe from a British airbase; his odds of survival are one in five. In the midst of such uncertainty, the one thing they hold onto is the letters they write to each other. Fate is unkind and they are separated by decades and continents. In the present, Jess becomes determined to find out what happened to them. Her hope—inspired by a love so powerful it spans a lifetime—will lead her to find a startling redemption in her own life in this powerfully moving novel. Both storylines are equally compelling – Stella and Dan’s doomed World War II romance and Jess’s present day predicament of trying to stand on her own after having escaped a violent relationship. 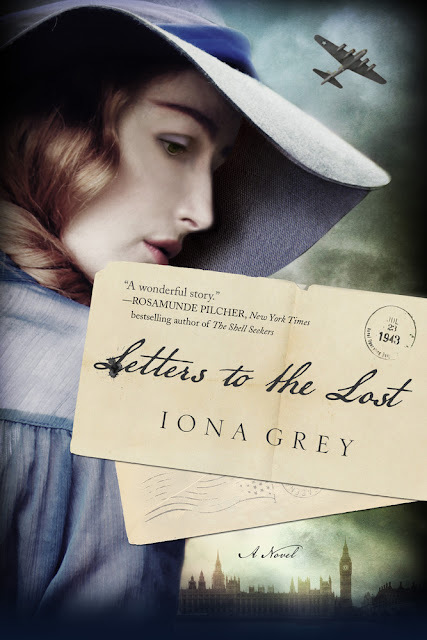 Like Jess, who escapes from her frightening reality by delving into the bundle of old letters in an abandoned house, I was swept away by Letters to the Lost. I could not wait to find out what happened to Stella and Dan, what tore them apart and if it was still possible to bring them back together. An absorbing and heartwrenching read. 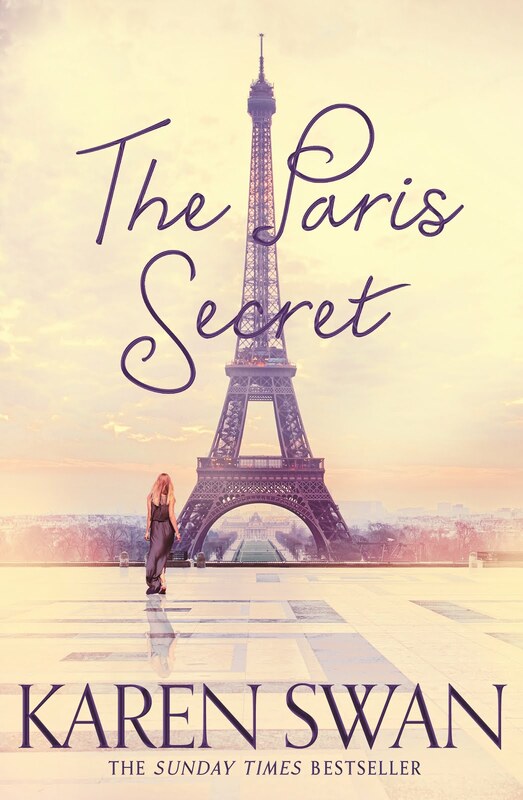 I had read and enjoyed A Paris Apartment by Michelle Gable so I picked up The Paris Secret, curious as to how Swan was going to fictionalize the real-life discovery of a Paris apartment which had been shut and undiscovered for 70 years. Paris … and a mysterious apartment – of course I was already a captive audience. Swan’s interpretation of the apartment’s significance was very different from Gable’s (although it also involves priceless art), but no less intriguing. The dual timelines of the past alternating with the present heightened the suspense. I managed to tear through this book while waiting for my delayed flight at O’Hare airport. Somehow, it managed to make the interminable quite bearable for me. 1. In a large saucepan, bring 3 quarts of water to a boil. Add the sea salt and potatoes and cook until tender, about 20 minutes. Drain, then pass the potatoes through a food mill or ricer into a large bowl. Stir in the butter and season with salt. Divide the mixture into four 5.4-oz heat-proof jars. 2. Fill a large saucepan halfway up the side with water and bring to a simmer. 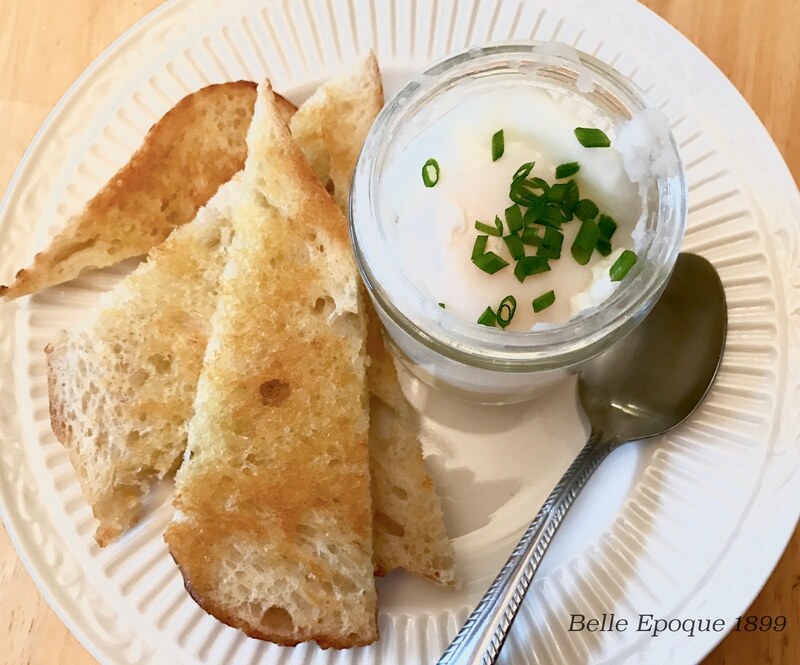 Crack an egg into each jar, cover with the lids, and arrange in the saucepan (the water should come three-quarters up the sides of the jars). Simmer until the whites are set and the yolks are almost set but still slightly runny, about 15 minutes. Carefully transfer the jars to plates and remove the lids. 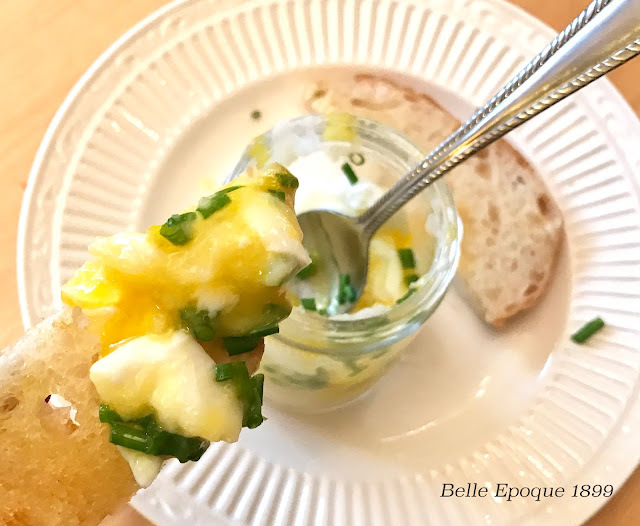 Garnish with chives and sea salt, and serve warm with toasted bread. This novel seized me and would not let go. It haunted me. 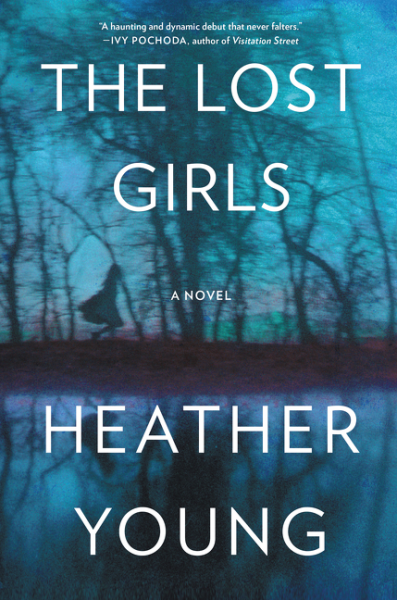 The reader knows from the beginning that a young girl disappeared one summer long ago, but we don’t know how or why. The novel is told from three different perspectives; 11-year-old Lucy, the summer that her sister disappeared, and many years later as an old women towards the end of her life, looking back. In the present day is Justine, Lucy’s grand-niece with two daughters of her own, who’s fled to the summer house by the lake where Emily disappeared. The multiple narratives circle around that tragic summer, what happened during and its consequences. The reader at first thinks that Emily’s disappearance was a tragic event that shattered an idyllic family. However, troubling hints of dark secrets simmering that summer signal that all is not perfect. In fact, by the time the novel ends, every character’s shame and culpability are uncovered, exposing the complete devastation of Emily’s loss. I started out curious then uneasy but by novel’s end, with the truth revealed, I was emotionally wrecked.